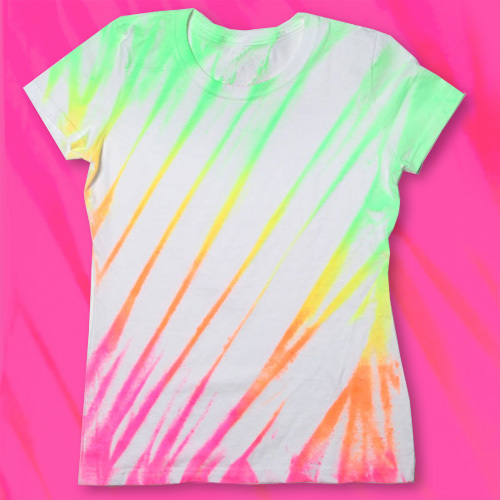 Love to rock out in neon colors? Then this DIY project is for you! 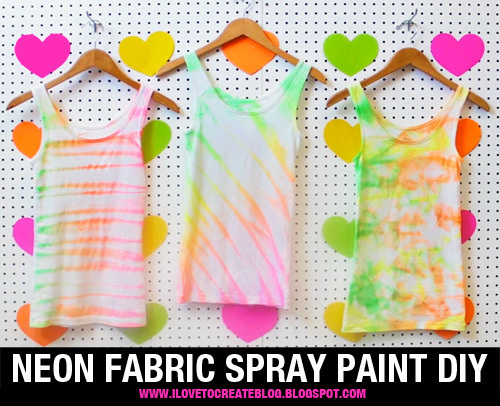 In her "DIY on the FLY" video series, Brandi shows you how to make a fun neon fabric spray paint tank using a neon pack of Tulip Fabric Spray Paints available at Michaels and JoAnn! 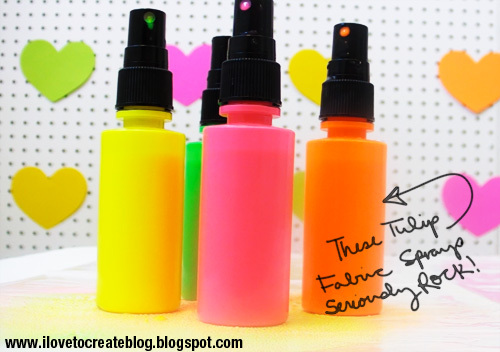 If you're looking for a fun craft for your next party, we guarantee your guests will love playing with the neon sprays! The Tulip Fabric Sprays work great on shirts, totes, shoes, canvas art, fabric accessories and so much more! will this show up on black shirts? Colors work best on light-colored fabrics (Snow works well on dark fabrics as well) and are available individually with some offered in 4 packs of popular color combinations. -from information on link to buy product. I have used this spray paint and it's awful. It works for like 5 sprays and clugs. I had returned several sets of these and the metallic ones. Then I went out and bought all new sprayers for them. Am I the only one who has trouble with these? How do you get the striped effect? Amazing idea! And thanks for the video. I really enjoy it. Your video player window doesn't seem to be working. I would love to see this video could you please let me know if it is working? Thank you very much for this excellent information.!!! i really appreciated, keep it up ! Mid Century furnishings are appropriate for any modern office or home. Although, simplistic in design Help Me With My Homework this kind of furniture may add beauty and excitement to any environment. sleeper sofa cheap Mid century modern.